Autograph History! A Young Eva Mendes Meets Who’s The Boss? 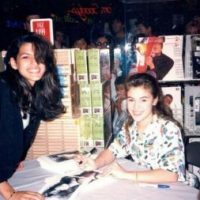 Star Alyssa Milano… 25 Years Ago! mike January 6, 2014 Fanboy History!, Fanboying!